Do you need some costumed cuteness to start your Halloween off right? Well, you’re in luck! 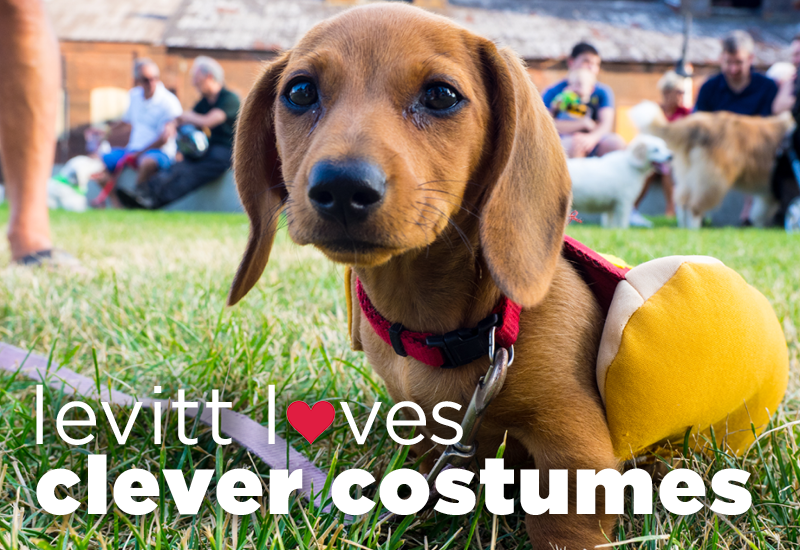 Look no further than this adorable (hot) dog, struttin’ at the annual Strut Your Mutt event at Levitt Pavilion SteelStacks. However you choose to celebrate the holiday, we hope your day is low on tricks, high on treats and filled with clever costumes that make you smile! This entry was posted in Levitt Loves and tagged Levitt Pavilion SteelStacks on October 31, 2018 by Nicole McGaffey.